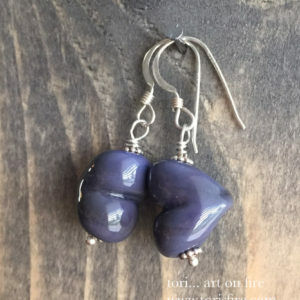 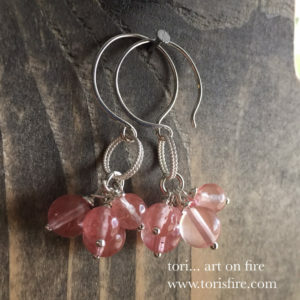 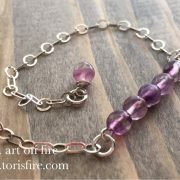 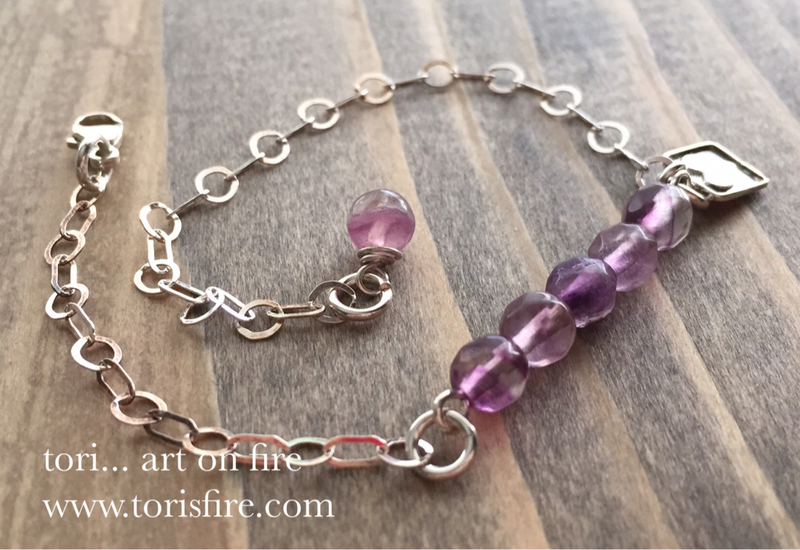 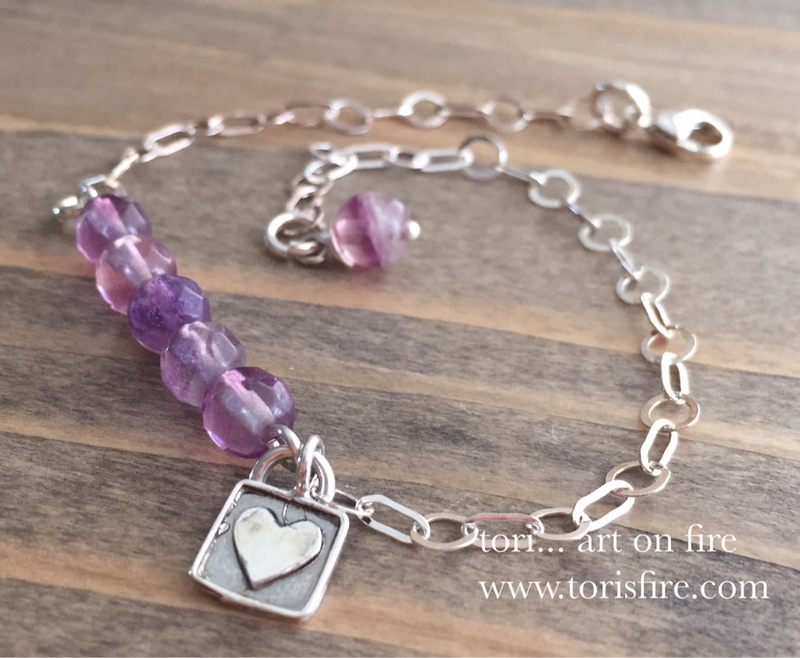 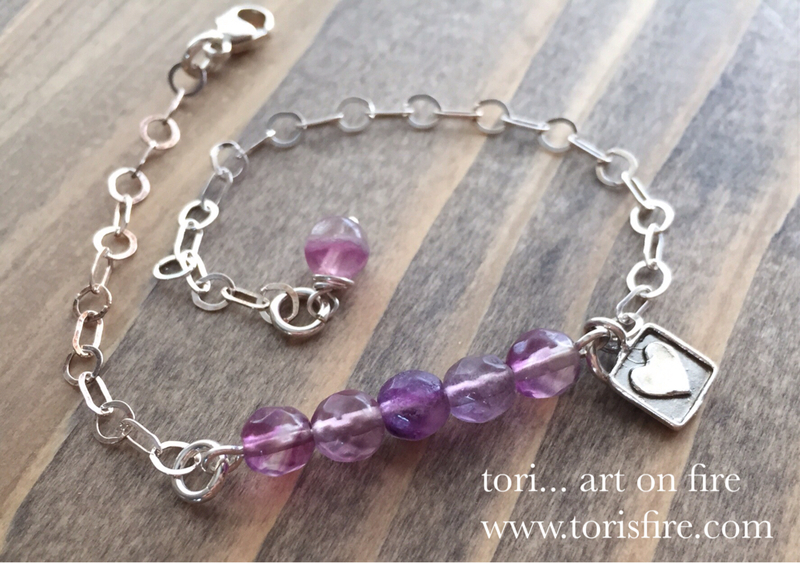 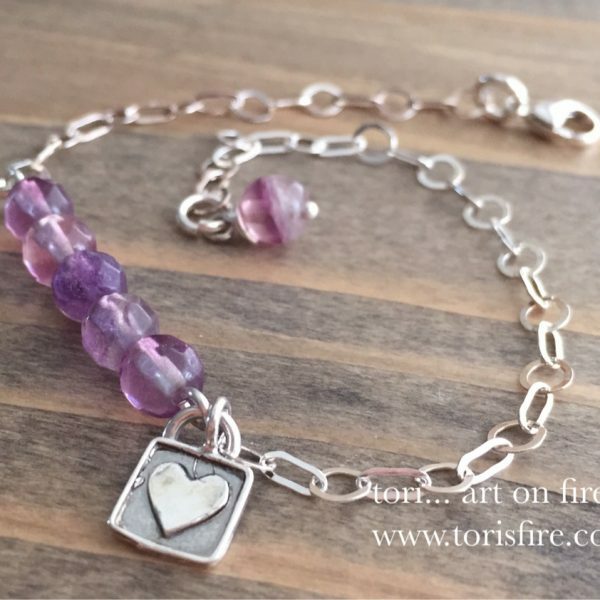 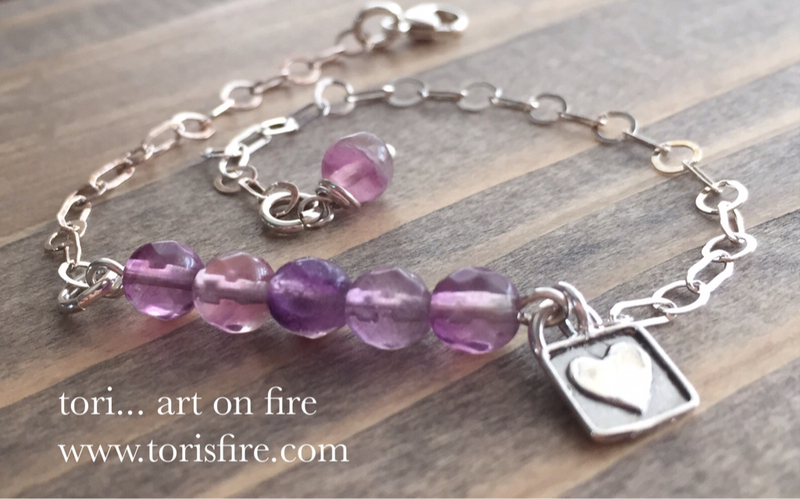 This bracelet features beautiful purple flourite beads and a tiny sterling silver heart. 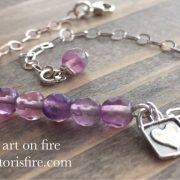 It is adjustable to fit most wrist sizes. 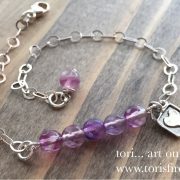 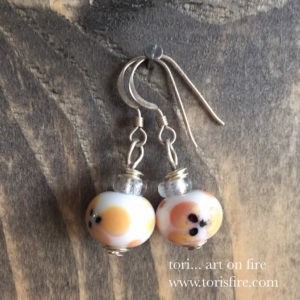 Each bracelet is one of a kind.